This tutorial is the second part of our previous tutorial where we built a simple registration form using Cycle.js. In this part, we will introduce some basic concepts for building Cycle.js like seeds, intents and state. Online demo is available here. Source code for this tutorial is available in Github. 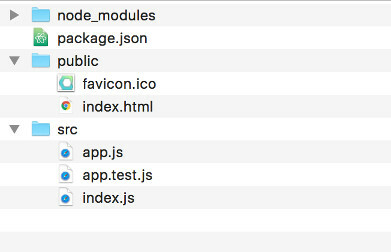 The quickest way to create a new project with Cycle.js is by using create-cycle-app. In this section we will define a simple function for updating our application state based on the user actions automatically. If you want to learn more about ramda, go to their official documentation. For any application, we need to start from somewhere to initialize the application state to a bare minimum, so that the user will have something to interact with. Seeds are the things which rightfully serve the exact place for the initial application state. Here we will be defining the actual user actions which in turn modify the application state as a collective object so that it will be easier for the developer to maintain the actions in a single place. Model-View-Intent (MVI) is reactive, functional, and follows the core idea in MVC. It is reactive because Intent observes the User, Model observes the Intent, View observes the Model, and the User observes the View. For every DOM element with which the user will be interacting with we need to define a set of actions or inputs for which the application state will be reacting to. Its time to define our application state based on the intents which we have created previously. Our state is a single stream got by merging the two intents changeUsername and changeEmail and mapping their corresponding values. Here we are constructing the Virtual DOM using the application state. We are using React like JSX syntax here, since it feels natural to write HTML markup in HTML rather than using some little confusingly hyperscript syntax. Also, we are capturing the application state using the values stored in username and email and rendering them in the DOM using pre tags in JSON format. 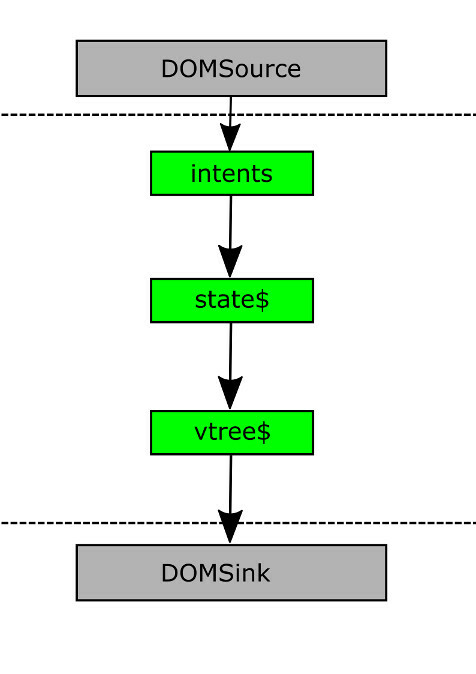 Finally we are returning the virtual DOM tree as output sinks back again to the main function.